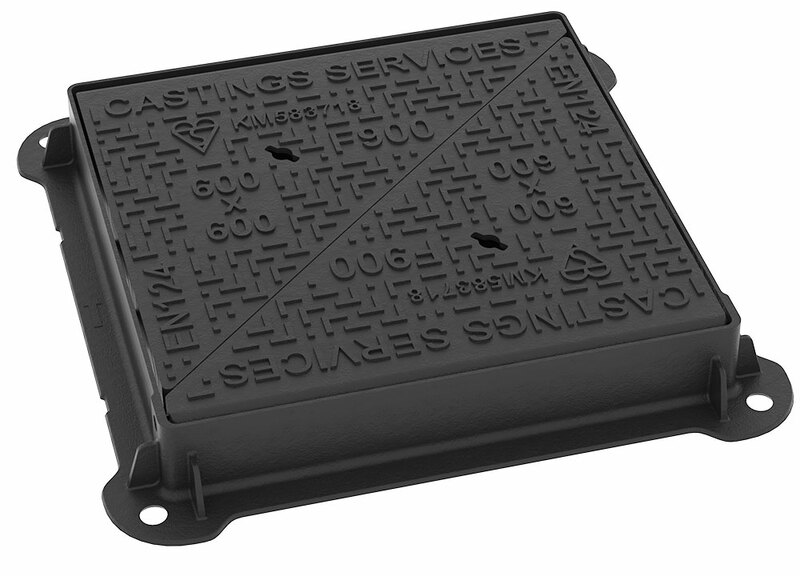 F900 Manhole Covers – Suitable for areas imposing extremely high wheel loads such as runways and aircraft pavements or busy industrial areas with solid wheeled vehicles such as forklift trucks. Extreme loading covers are one our specialist areas and we work with numerous clients on MOD sites and Airports where these products are required. Quality is everything when it comes to these projects which is why we only work with leading UK, European and US foundries when manufacturing F900 manhole covers. Peephole for fire hydrant access.